Right now these is only one thing going through your mind – how do I get OUT?!? Stay in jail until your trial occurs and your case is disposed of and waiting out your sentence (if you are found guilty). Posting the full amount of the bail bond or bail bonds if there is more than one charge, then awaiting the conclusion of your case before you receive your funds back – minus any court ordered fees. Using a Surety Agent or Dallas County Bail Bonds Agent to post your bail bonds for immediate jail release. [/imageframe]If you post the full amount of the bond, you will need to use cash or some sort of property the court deems valuable enough to cover the cost of the bail bond. If you use a Dallas Bail Bonds agent, you will be required to pay a premium to cover the cost of the Surety bail bond. Either way, you will be required to show up in court for all scheduled court dates in order to keep your bonds in place. For Dallas County bail bonds, if you have been arrested you will be required to go before a judge or magistrate before your bail bond amount is set. Depending on the timing of your arrest, you may have to wait several hours before being seen by a judge. The Dallas Bail Bond amount will be determined by the judge and will be based on several factors. 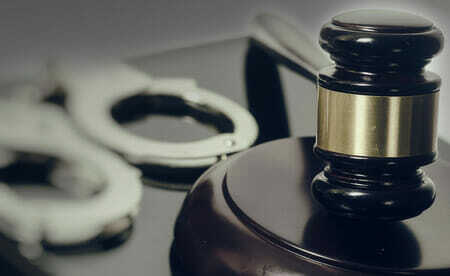 Some of those factors include the severity of the charge, the defendant’s previous arrest history and any other factors the judge may deem pertinent. There are times when the bail amount may be set extremely high for the offense being charged. In that instance, the defendant has the ability to request a bail hearing and ask for a reduction in their bail bonds. The reduction may or may not be granted – the judge has the final say and their decision will be based on several factors. The best Dallas bail option is to be released on what’s called an OR bond or Own Recognizance bond. This type of bond is basically an agreement between the defendant and the court that the defendant agrees to appear at all scheduled court appearances based on their word alone. As long as the defendant complies, the OR bond will remain in effect. If the defendant misses a court appearance, the OR bond can be revoked. The subsequent bond will not be OR and will most likely be high. Another option is to post the full bond amount with the court. The funds remain with the court until the case is disposed of, and is returned after any court fees are paid. The other option of course is to contact a Set’Em Free Bail Bonds agent to arrange for a confidential bail bond to assist with your immediate release. Working with our experienced bail bonds Dallas agents to secure your fast jail release will allow you to get busy working on your case, acquiring a competent defense attorney and will help you get back to your life while you await your day in court. For additional information don’t hesitate to call us! Southern Bail Bonds provides Dallas County Bail Bonds 24 hours a day, 7 days a week. Call us at 214-372-2500. We’re ready to help!